This behavior – as well as what must be a lifetime’s worth of amiability, indifference, obsessive impulses and sudden cruelty – is a direct result of unseen feelings created by his mother: the “phantom thread” in the title, which has ostensibly turned a brilliant man into a methodical engine incapable of sustaining viable human relationships. A pattern emerges early on: at a breakfast table where he scribbles excessively over designs on paper, a lover demands his lost affection, and he rebuffs the plea with a generic deflection. Later, after she has retired, his sister – the only source of consistency – leans in and recites the probable dialogue: “she’s getting fat sitting around waiting for you to fall in love with her again. Shall I dismiss her?” And so the chord of emotional monotony is established, indicating that Reynolds views the women in his life with an enthusiasm that swiftly sulks into disinterest before they are quickly disposed of. Is it because his mother taught him that fashion was far more important than its subjects? Does he hold them up as unfair comparisons? Or did her untimely death impede on his mental development, and now all others must be viewed as objects rather than vessels of blood and feeling? Reynolds is played by Daniel Day-Lewis, in what is said to be his final film role, as a sad, condescending and yet insatiably talented man who perfects all the necessary illusions to adapt effortlessly into this social construct. Clients see him as a charming intellectual who cares deeply about their aesthetic interests, while a mansion’s worth of servants, seamstresses and assorted employees plug along with their heads down as if governed by a circuit board. That becomes a convincing niche for Day-Lewis, perhaps, because of the parallels he can draw on. After collaborating with Anderson before in the magnificent “There Will Be Blood,” he has sharpened the image of the successful entrepreneur while intentionally robbing himself of human pleasantries. By the same token, the movie’s warmer moments are also convincing – such as an exchange he has at a restaurant with Alma (Vicky Krieps), a waitress who is destined to become his next muse. They laugh, exchange flirtation, and are swept up in mutual allure. When they have dinner, she is only able to lift the mask long enough to discover small morsels of insight (the most relevant: he can’t imagine ever being married), and there is a strange distance between his smile and gestures as her body becomes a template for another of his important designs. A scratch in the movie’s rhythm occurs. Alma, devoted to Reynolds with a heart that seems spun in gold, is not easily blinded by kindness or brief interludes of romance; there is a perceptive quality in all her observations, and personality challenges are answered with a certain defiant vigor. This infuriates Reynolds just as we expect it to, leading us through a series of encounters that gratify the pattern (a quiet dinner she has prepared becomes the centerpiece of their mutual aggravation). But Alma is not going down quietly into the shadow of obscurity he is destined to cast, and as new designs come and go in a flurry off manic professional routines, she quietly drifts between the characters – often quiet, always observing, fiendishly plotting. How she expects to earn his enduring favor is anyone’s guess (including hers), until the story foreshadows her desperation while she is sifting through pages in a book about poisonous mushrooms. Could that provide her a means to an end, or has she reached a limit that must end in foul play (as most films might have insisted)? Anderson handles the twist in such a method the defies nearly every viable expectation in the audience; as the revelation unfolds one way, alters the course of the characters and then folds back inward with a startling development, we are left to contemplate the two leads, the lengths they will go to for mutual understanding, and the strange brilliance of the whole ordeal. “Phantom Thread” is the culmination of two decades of a man’s insightful arcs progressing towards the upper tiers, and what he weaves is not merely a solid character study or even a savage critique of the fashion world, but a deep and perplexing mystery where drama, dark comedy, elegance and psychology collide in an astounding cascade of creative accomplishments. There is no shortage of moments ripe with intellectual intrigue, and our eyes are relentlessly drawn to situations that play at a high altitude of potential – especially in those where dialogue seems intentionally withdrawn or vague. And always driving this potential are actors who look deviously askance at their own motives, perhaps because they hope to inspire a blind spot of skepticism. Some find this trick infuriating – particularly here, in a movie that moves to the pulse of its elegant style – but I celebrate the insinuation; Anderson has more than made a career out of playing down an audacious ulterior motive, from the backwards climax of “Boogie Nights” to the strange rainstorm at the end of “Magnolia.” What occurs to these people towards the close of this film is strange and puzzling, and yet perfectly within his aesthetic; they appear to be functioning in a realm that is conventional, but just as the past carries a weight of haunting influence, so is the present destined to assign a dubious future. The look of the movie is an integral component. Set in the 1950s, Anderson fashions an image of rich elegance and textured set design, full of tight spaces and narrow corridors, where his figures walk with seamless confidence. Almost all the key scenes are set in the interiors, which exaggerate the discomfort; neither Reynolds nor Alma – the opposing forces of the house – seem capable of escaping the tension they inspire in one another. If the tightness of location underscores this possibility, then the camerawork elevates it further (though no one is credited for principal photography, many say Anderson handled it directly). Notice how angles and zooms, for instance, play up the verbal exchanges – at first we see them in wide-pan shots full of natural light, and as their admiration devolves into discomfort the lens tightens around them (the dinner sequence is done entirely in close-up). 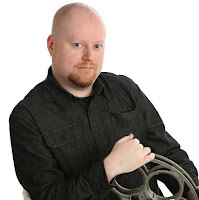 Any serious student of film composition will see the technique as invaluable to the mood – it emphasizes how our views of events are easily manipulated by camera placement, lens choice and even the restriction of light, especially as the plot moves away from convention and right into audacious realities. Now three decades into his career as a filmmaker, Anderson is no longer just a force of circumstance; he has bent the will of the screen to his method with the enthusiasm of an auteur, provoking and bewildering his viewers in the syrup of contrasting experiments. While his early – and far more manic – endeavors are still cited as benchmarks (“Magnolia” being key), it is this film and “There Will Be Blood” that may endure longer; they are as profound to the evolution of his voice as, say, “Nashville” was to Robert Altman. Neither is an accessible commodity for a moviegoer that is willingly swept up into the high maintenance of a more urgent drama, and yet to see either film is to discover the gift of patience. Both are slow, plodding, sometimes frustrating excursions, lacking all the urgent dramatic cues. But they leave behind a profound afterthought, a feeling that we have just been roused by an idea that has not yet been spoken or discovered. 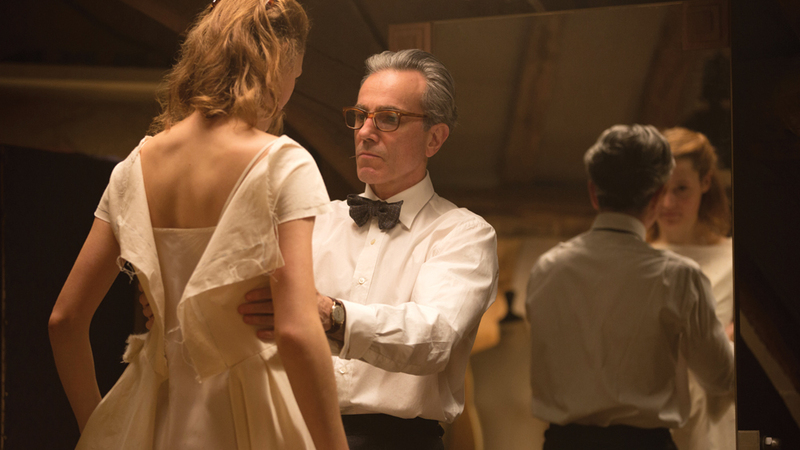 “Phantom Thread” carries that tradition forward in a tempered charge towards the peak of its director’s possibility.